Welcome! I’m delighted to have Dr. Michelle Bengston as my guest today. Dr. Bengston recently published Hope Prevails, a excellent book of God-given wisdom and encouragement. 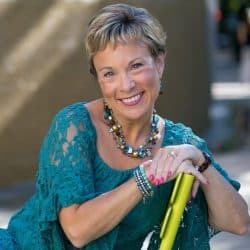 Enjoy the below article and then connect with Michelle at http://www.DrMichelleBengtson.com. Depression, anxiety and worry are the enemies trying to kill our peace and they are on the rise among men, women, and teens. Why? Few know the answer. But here, Dr. Michelle Bengtson has important guidelines so you can help someone begin the victory path. What we say to others can either build them up or tear them down. We must take care not to further injure someone in their suffering from something we say. As a neuropsychologist, I’m witness to the well-intentioned but misdirected words of friends and family to depressed loved ones that only serve to pull them down further. When people suffer from depression, they often also harbor low self-esteem, guilt, and shame. What they crave is to know they are loved, accepted, and not alone. Let Scripture help you determine what to say to a depressed loved one: “Therefore encourage one another and build each other up” (1 Thessalonians 5:11). I love you. There is no better time to hear this than when they are struggling to love themselves and wonder if others truly love them too. I’m here for you. This is one of the most comforting things you can say to someone feeling alone. You are important to me. It’s vital to know they are still acceptable, accepted, and important. I’m sorry that you are going through such a painful time. Expressing your sorrow for their pain communicates that you care, even if you don’t fully understand. Is there something I can do for you? This communicates your willingness to help and just your offer will lend comfort and encouragement. You may not believe this now, but you won’t always feel this way. The depressed individual often needs reminding that there is hope. We will get through this together. This communicates your acceptance, and your love. Nothing. Actions often do speaker louder than words. I remember when Job encountered great hardship. Job 2:13 says his friends came and sat with him for seven days and nights. During that time, they didn’t speak a word because they saw how great his pain was. Words could do nothing to help his misery, but their company spoke volumes. Remember, when you are speaking to a depressed loved one, your goal is to encourage and uplift them. “But if it were me, I would encourage you. I would try to take away your grief” (Job 16:5 NLT). How will you encourage a loved one today? A heroine who truly believes she is not pretty, a “plain Jane,” if you will. She dresses in unusual outfits. But she is centered in God, and confident in Him. She is faithful. Elle Drake creates beautiful pottery and is well known for her works. Good-looking, but with haunted eyes, Matt Wilmot and his three sons move into the house next door to Elle. Through a series of mischievous mishaps by his sons, Matt meets Elle . . . and, well you’ll have to buy the book to find out. 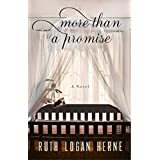 In More Than a Promise, Ruth Logan Herne has written a beautiful love story. But it’s more than a love story, it is full of adventure (again, think three mischievous boys). It’s a story of healing for both Elle and Matt. A story of redemption. And a story of new beginnings. You will be captivated from the first page to the last and will find yourself wanting more. It is simply that good. About the Author: Ruth Logan Herne is the mother of six and grandmother to fourteen. She and her husband, Dave, live on a farm in upstate New York. She works full-time but carves out a few hours each day to write the ind of stories she likes to read, filled with poignancy, warmth, and delightful characters. 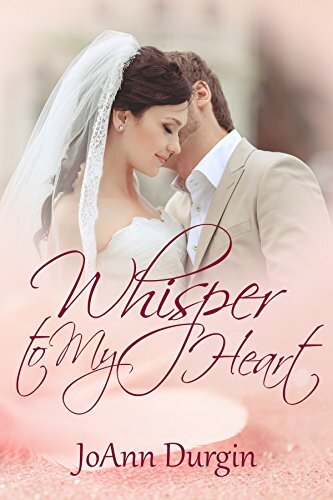 She is a 2011 Carol Award finalist from the American Christian Fiction Writers (ACFW). Today it is my privilege to host Kolleen Lucariello, a fellow WordGirl member. Be sure to check out the information about her latest book, below! As we flip our calendars from August, ushering in September, we say farewell to our summer vacations and hello to the season of back-to-school, cooler temperatures of fall and one of the highlights of our home: football. Here’s another bonus of September: it’s also Women’s Friendship Month and I love the gift of friendship! Recently I was reading in Acts about Paul and how difficult life had become for him. He was beaten, bound with chains, accused by the Jews, imprisoned, taken before councils and Rulers, and then eventually sent to Rome. I imagine by the time Paul boarded the ship to begin his journey to Rome he was a tired man; he’d endured a great deal. As I’m feeling bad for him, this verse jumps out at me: “The next day we landed at Sidon; and Julius, treating Paul with [thoughtful] consideration, allowed him to go to his friends there and be cared for and refreshed” (Acts 27:3 AMP). I simply adore the fact Julius, the guard in charge, thought enough of Paul to recognize he needed the care and refreshment of his friends. That part of the story just blesses my heart because I’m so grateful for those who recognized when I needed the care and refreshment only a faithful friend could bring. While my journey, or your journey, may never look like Paul’s, it’s still possible for imprisonment to find us. We might endure a prison of darkness when depression covers us like a thick heavy blanket. Or chained to a past we can’t seem to move away from. We may find ourselves standing before accusers—relentless in voicing their opinions while refusing to hear ours. Life is full of moments when the waters can become a turbulent sea. That’s when we need our own Julius, the guard in our lives, to recognize our need for care and refreshment. Who is traveling your journey with you? Who is your guard in life that notices when you’re about to break? Who reaches out when you begin drifting away? We all need a guard like Julius, someone willing to stand by us, giving thoughtful consideration to our needs. And we all crave friends who bring care and refreshment to our lives. Proverbs 11:25b promises, “Whoever refreshes others will be refreshed” (NIV). 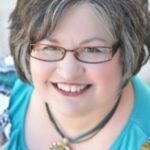 Colleen is the author of The ABCs of Who God Says I Am, which takes women on a back-to-the-basics journey by outlining their identity in Christ with the alphabet as the roadmap. From accepted to loved to victorious to zealous, readers will find refreshment and encouragement in this devotional study as they shed harmful and false thinking about their life in Christ Jesus. Ready to find out who God says you are and experience a more joyous existence? Dive into these pages and prepare to be renewed like never before in Kolleen Lucariello’s new devotional study, The ABC’s of Who God Says I Am, and discover who you can be when you trust completely in the Lord. Pick up your copy today at Amazon! 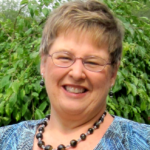 Over the next several weeks, I will be hosting members of WordGirls, an online writing group that began in 2014.Today I am delighted to have Kathy Carlton Willis who is the founder and leader of WordGirls. We were excited about our brand new home, but not so much with our new sod and landscaping. It struggled to survive the move. Of course, the 100-degree heatwave didn’t help matters. The crux of the problem was transplant shock. Those green leafies were traumatized by being uprooted from their comfortable setting and placed into strange new surroundings. We did all we could to “love on” our greenies. We refreshed them frequently with nourishing drinks of water. But even with the proper care, the bright green leaves of grass, trees and plants dimmed to a straw-like gold. Transplant Trauma. It takes time and the proper care for transplants to adjust to new surroundings, and then they snap out of the shock and turn green again. I know what it’s like to be a transplant, and perhaps you do too. You wonder how it’s possible to prosper where you’re planted when you’re dealing with your own version of transplant trauma. We didn’t get to stay in the hometown of our childhood. No, God uprooted us. Took us from the comfort of what we knew and loved, and moved us to a new area that needed us. God often sends us to parched places—to rejuvenate others with refreshing green ministry. Sometimes it takes a while to get acclimated. We go through a period of transplant trauma. Shock. The refreshingness of the lush green we offer others temporarily turns to dry hay. With the right amount of time to adjust, and with the loving care of our new surroundings, we green up again. It’s good to know it’s just a temporary condition. Sometimes we come to a new place still grieving the loss of what we left behind. We bring that trauma with us until we come to accept it. Other times, we are eager to get started in the new ministry, but are confronted by the culture shock of the new area. We adapt. We add the water of the Word, confirming our calling to our new spot. We soak in the SONlight. We allow our Heavenly Master Gardener to tend to our needs while we tend to the needs of others.